Historical records are an extremely valuable and often difficult-to-access source of information from past decades. It's a sobering thought that year by year, an untold number of meticulously-collected and transcribed observations are lost to science as old notebooks are misplaced or destroyed, the value of their contents never to be realised. BirdTrack warmly welcomes records from the past as well as the present. All you need to be able to enter 'old' records is a date, location and species name. Whether or not a particular set of historical records can be considered a complete list will probably require some consideration; please get in touch if you need advice about this. If the observations you are adding include any locally rare species, you will be prompted to fill in a local rarity description. As long as the record was submitted to (and accepted by) the local rarities committee at the time, please circumvent the form by clicking the 'BirdTrack Home' button underneath it. If you'd like to enter historical records on behalf of someone else, please contact birdtrack [at] bto.org so that we can add the necessary functionality to your account. 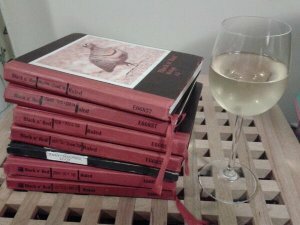 "Does anyone use a bird notebook these days? Many of my contemporary birding companions back in the 1960s and 70s completed the most wonderful series of notebooks, spending an hour or two after each birding day writing and sketching, and perhaps adding photos later. These built over the years into personal diaries of local, national or even international birding. Over the decades, detailed note-taking has largely dropped out of the birding scene, alongside the ever-easier access to top-class images and sound recordings and vast improvements in field guides. My own notebook series was a very early casualty and it has long occupied an increasingly dusty section of my bookshelf. The advent of BirdTrack and other online systems has brought about a radical change in the nature of bird recording. Before BirdTrack, county bird reports needed unusual records and counts from recognised sites. Thus being a valuable contributor of records meant being prepared to trawl through notebooks for the occasional record that was worth sending in – perhaps no more than a handful for a full day’s birding. After BirdTrack, bird recording means submitting complete lists online, so that recorders and other researchers know the species that were not recorded, along with all those that were. Some of us oldies have been slow to catch on to this change. Our contributions over five or more decades are thus paling rapidly into insignificance compared to the tens of thousands of BirdTrack records that can be amassed by relative newcomers in just a year or two. The weekly reporting rates that complete lists allow BirdTrack to produce are to me one of the new system’s most fascinating outputs. Currently, the vast majority of the data behind this output is from the early 2000s to the present. Time to dust off those notebooks! By entering complete lists from last century, we can extend BirdTrack’s monitoring of bird sightings way back from its current measly ten-year run. We can restore our reputation as a generation of bird recorders! And, since most notebooks will ultimately be destined for the recycling bin, we can ensure that our data will live on. In 2012 I began to work through mine, beginning with ‘Bird Notes 1’, begun in January 1967. Later that same year I adopted the habit of recording all species observed on my visits to Farlington Marsh, usually with an estimate of numbers, and continued that through my schooldays. A few months on, I have more than 300 of these early lists boosting those totals on my BirdTrack home page and, more importantly, safely recorded for posterity. Reliving those early days has been fun! I recorded first impressions of species I am familiar with now, but that then were lifers, and made the occasional comment revealing something of my teenage self. And the birds are also very different! Sightings commonplace at Farlington then, such as Tree Sparrows and the breeding Cirl Buntings, raise ‘obs warnings’ now, as do double-figure counts of migrant Yellow Wagtails and Whinchats. By contrast, my thousands of early records for the site do not include any of Canada Goose, Gadwall, Sparrowhawk, Marsh Harrier or Cetti’s Warbler." What file type do I use to upload records. Records can be uploaded directly to BirdTrack using the upload sheet found here. The instructions for how to upload using this sheet can be found here. Can I upload records of mammals? At the moment you can only upload records for Birds, Mammal records have to be entered directly via the website. We hope to add a bulk upload tool for mammal records in the near future. Can I upload records of Odonata (Dragonflies and Damselflies)? At the moment you can only upload records for Birds, Odonata records have to be entered directly via the website. We hope to add a bulk upload tool for odonata records in the near future.